Written by Jessica Ulrich. Media by Cord Buchanan. As I study Scripture and discern my calling, I want to hold the whole story of God, not just bits and pieces. When I do this and I come to know God in Christ, I realize the only thing I desire for my life is not for power or success, but to be submissive and faithful to the calling from Christ. Why would I want anything else? It is such Good News! Being faithful to God is an adventure, and adventures are both deeply affirming and filling. Adventures are also so challenging in so many different ways: physically, emotionally, mentally, and spiritually…but it is all a gift. 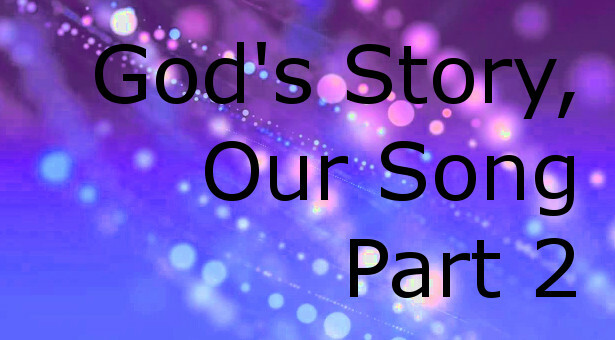 I shared with you parts of my participation in God’s story and parts of my discernment process. God has called me and affirms me over and over that I am to minister to the church, to preach the Gospel. I will do that always, joyfully, even when some challenges arise as I do this as a woman. I want to share that with you in Part 2 this week. Alongside physically giving myself for the sake of the Gospel, I experience emotionally, mentally, and spiritually challenging moments of adventure. I believe some of them arise from the deep hurt that I am embracing and forgiving. I have have been greatly wounded by the words and actions of fellow Christians, both men and women, strangers and family. 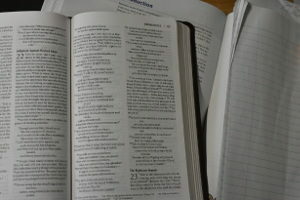 Fellow brothers and sisters in Christ have questioned my Christianity and judgement, called me a horrible Christian for pursuing pastoral ministry, told me I am going to hell, sent “What God Expects of a Woman” brochures, and shut me out of their lives all for the sake of being faithful to a calling in my life that was discerned in community. In the early years of college, in great confusion, I even dated a pastor because a male pastor affirmed my ministerial leadership calling, saying the only way to fulfill that calling was to marry a pastor because I, a woman, should not be able to teach or preach. I do not share all of this with you for self-gain, but to honestly tell you that in all of this, it is all too easy to fall into hate toward those who misunderstand and reject. I do not want that hate. I want Jesus and to live and love like Him. I want love. I want peace. I want friendship like the Trinity. I have to choose to love, just like Christ, despite hurt and rejection. The feelings do not quickly subside, though. To be honest, in the darkest of nights, the dangerous places and low valleys, sometimes the words haunt my mind and make me want to give up and into the lies and resentment. These voices of rejection are intimidating, but I am not alone. 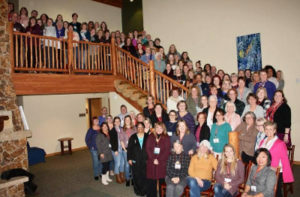 This is the story of many women in the church and the strong women in the church remind one another that there is no room for us to have a thought that is not in the mind of Christ. Can we—will we—be a people who see ourselves and others with the eyes of Christ? 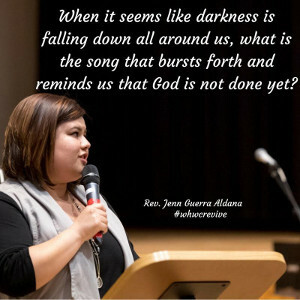 Reverend Jenn Guerra Aldana inspires me, as she encourages us with these words: “When it seems like darkness is falling down all around us, what is the song that bursts forth and reminds us that God is not done yet?” I know that song. I join in the song of the women that have come before me. It’s the song that B.T. Roberts accompanies in Ordaining Women. That song is a song of the liberating freedom found in Jesus Christ. I sing because I am a respected daughter made in the image of God (Genesis 1:26-27). I sing because in Christ there is neither Jew nor Gentile, male nor female, slave nor free. I sing because we are one in Christ Jesus who is restoring the world back to Himself (Gal 3:28). I sing because Christ has redeemed us from the curse of the law, being made a curse for us (women, too!) (Gal. 3:13). I sing because there is worth in all humans regardless of gender, race, color, or any other distinctions (Acts 10: 34-35). The Holy Spirit is at work all around us inviting us into God’s story everywhere. God is not done yet! There is no need for fear of rejection. There is no need to be defensive. There is no need to be offended. There is no need for resentment. There is no need for hate. But, there is a deep need for love. There is a deep need for friendship with God and others. There is a deep need for understanding. There is a deep need for unity, which is not uniformity. There is a deep need for sharing the Good News that in Christ, we are invited into God’s story of reconciliation. There is a deep need to proclaim this beautiful truth to all the nations—to every tongue and tribe and to all of Creation. The whole world is changed forever. And I, Jessica, a beloved daughter of God and minister of Christ, will declare this with joy until the end of my days, regardless of the dark nights and rejection before me. I am called by God, Creator, and Sustainer of the universe, Author of Life. This is God’s story, and I’m thankful to be invited to it. You are invited, too. Might I say, if you are a woman (or even a brother)reading this and you want to participate in His Story, but are intimidated by the voice of rejection: Remember who you love and who is love. God was rejected by humans, yet still loved deeply. Christ was humble enough to persist in love through deep pain and rejection. You are His, and His strength is yours. You have grit. You can persist in love. Your voice matters. You know the Truth and the Truth has set you free! Lean into that calling. Live out of that calling. And if that is you, as a fellow beloved child of God and woman in ministry leadership, I want to know that you are not alone.